Mark Knopfler's music career started in a big way with the group "Dire Straits". They had a string of hits including "Sultans of Swing" and "Tunnel of Love", and reached their peak in the mid-80s with the album "Brothers in Arms". As guitarist and lead singer, Knopfler gained a huge amount of practical experience which led to a solo career, numerous collaborations with music legends, and a highly successful career as an composer. Ironically Knopfler left Dire Straits in 1980 during the recording of the album "Making Movies" (though he worked with the band again on later albums), since one of the avenues for his composition skills was to be the cinema and starting in 1983 he was to compose the soundtracks for a number of films. Those soundtracks exhibit Knopfler's background in pop music and the influence of Celtic Folk Music, but also a degree of experimentation beyond those boundaries. 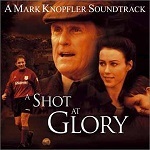 Being Scottish it was appropriate that he scored the film "Local Hero" which was set in Scotland, with its catchy theme tune "Going Home", and also the Scottish Football drama "A Shot at Glory". However, Knopfler's music can just as easily bridge the Atlantic for an American setting. "Last Exit to Brooklyn" features some haunting lyrical themes which perhaps remind the listener of some of the works of the veteran film composer Ennio Morricone. The satirical movie "Wag the Dog" about spin doctors masterminding the information and mis-information stakes in the run up to a presidential election, features Knopfler's music in a folk/country style. The film also stars Willie Nelson playing the part of a song-writer creating new (and old) songs to inspire the nation. Knopfler himself sometimes plays guitar on his soundtracks, and has made numerous appearances at various events raising funds for charity with music and/or comedy sketches. Since "A Shot at Glory" Knopfler hasn't actively scored a film, but he continues to write songs, produce albums and make live appearances, with his 2015 tour taking in many European countries and American States. 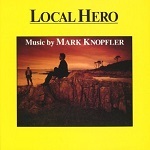 "Local Hero" the movie has recently been made into a stage musical with music and lyrics by Mark Knopfler and book by Bill Forsyth and David Greig. The musical will premiere at the Royal Lyceum Theatre in Edinburgh and the production is currently due to continue daily through to 4th May 2019. 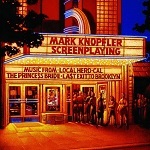 There is an album called "Mark Knopfler - Screenplaying" which features various themes from "Cal", "Last Exit to Brooklyn", "The Princess Bride" and "Local Hero". This is available from Amazon.co.uk or Amazon.com. There is also some sheet music to accompany this album with the same tracks arranged for piano or keyboard with guitar chords. Unfortunately this is much harder to find than the album itself and we have been unable to find an online source for it, but you might be lucky enough to find it in stores. 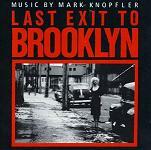 The soundtrack to "Last Exit to Brooklyn" is also recommended, from Amazon.co.uk or Amazon.com. And "Local Hero" itself is a favourite for its Celtic roots, from Amazon.co.uk or Amazon.com. "Cal" can be found at Amazon.co.uk or Amazon.com and "At Shot at Glory" is available from the following links at Amazon.co.uk or Amazon.com.